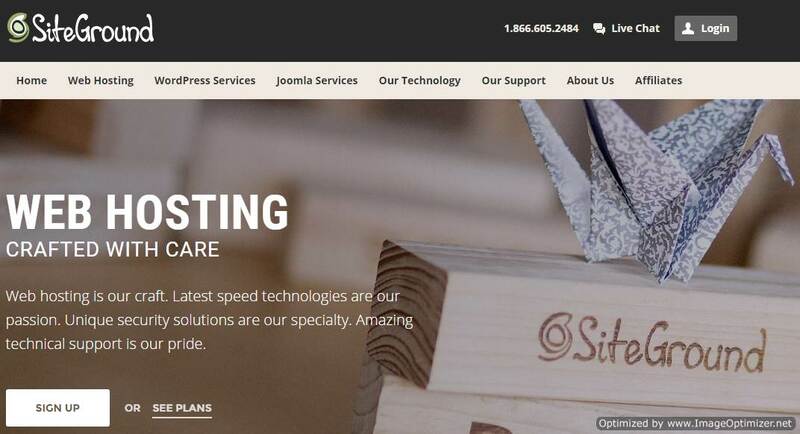 In this Siteground review, we will examine the quality of web hosting provided by Siteground, which is one of the most highly acclaimed web hosts in the world. Its superior quality and relatively affordable prices have made it an industry favorite host. Siteground has got the extremely rare honour of being officially recommended by WordPress. SITEGROUND REVIEW :- ADVANTAGES OR PROS. In this part of Siteground review, we will mention all the positive aspects of the hosting service provided by it. 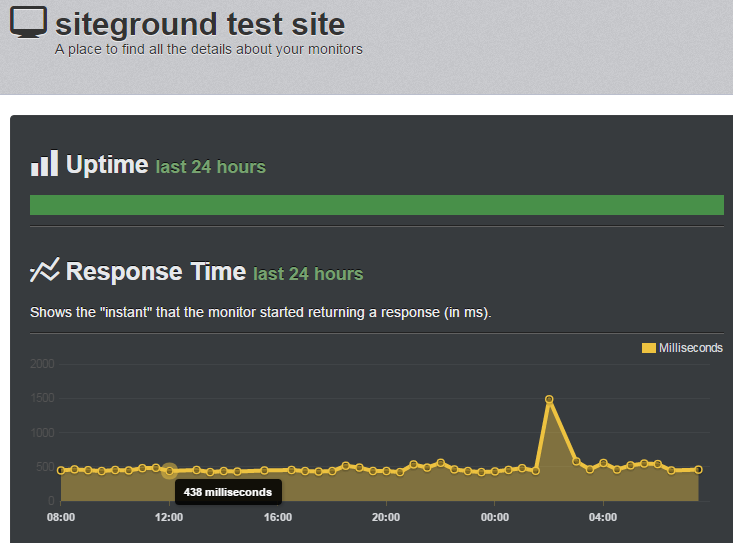 Above image shows speed record of our testing website hosted on siteground. High speed of a website is very important for good user experience and high google ranking. Speed ( Server response time ) of our testing website hosted on siteground remains between 400 and 500 milliseconds, which is simply excellent. Most of the top web hosts have speeds in the range of 700 ms and 1000 ms.
Use of powerful Supercacher plugin, NGINX web server technology, SSD servers and Cloudflare CDN. Limiting the no. of websites hosted on a single server i.e. No overcrowding of servers. Regular and strict monitoring of servers. Uptime record of our testing website hosted on Siteground. To make money, a website has to be up and running all the time. For a website making $3000/month, a downtime of 1% during a period of one month can cost more than $100. Frequent downtimes also spoil the reputation of a website. Websites hosted on Siteground enjoy very high up-time. 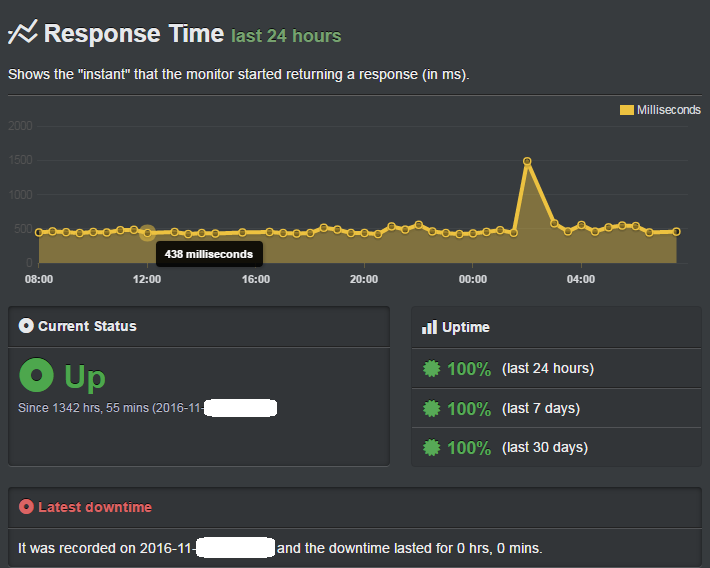 During last 4 months of monitoring, our testing website was not down for a single minute. It saw the perfect uptime of 100% for four consecutive months, which is simply phenomenal. Siteground uses a unique downtime prevention software and does real time tracking of websites, to avoid downtimes. My own experience and knowledge, combined with opinions of industry experts suggest that 100% uptime can not be maintained for a very long time, like 12 months. But, Siteground is highly reputed for providing uptime of more than 99.99% on a consistent basis. This number is based on our own testings, reviews of real users and opinions of industry experts who are known for being fair and honest. What will you do if one day your website got hanged and stopped working, while doing a simple wordpress update ? If you are new to the world of blogging and you are not a tech geek, you will find it very frustrating. While running a website you will face such incidents on a regular basis. 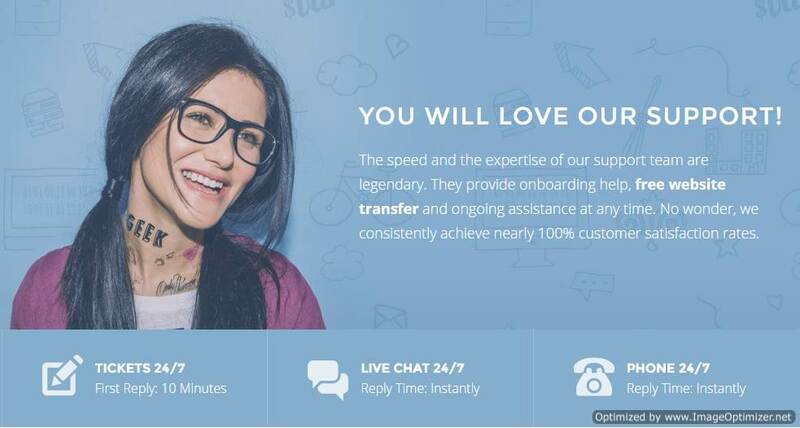 This is where support staff comes in to help you. If they are helpful and know their job, then your problem will get solved within few minutes. Otherwise, you will keep waiting with anxiety and helplessness for a much longer time…..
Siteground provides Chat, Email, Ticket and Telephone support and it is available 24/7. Response time of all support types is one of the fastest in web hosting industry. Chats start within seconds and tickets are answered within minutes. Support team is vast and has highly skilled members having good technical knowledge. Attitude of support team is very friendly and helpful. They do not behave in an ignorant way like some other top web hosts. There are few web hosts like Bluehost, Hostgator, Godaddy, I-page etc. where customers regularly complain about poor or slow support. Many times poor support quality forces customers to leave their web host. But, with Siteground, customers do not have to face such situations. Internet is full of positive reviews about customer support of Siteground. Siteground is always considered to be serious about security of its customers’ websites. It provides strong security features to ensure safety of all the websites hosted on its servers. Account isolation technology, which helps in protecting shared hosting accounts. Cloudflare CDN, which can be integrated with hosting accounts for improving speed and security. Free SSL certificates for 1st year. It can be very helpful for e-commerce websites. An extra security layer to ensure that all the installed plugins and themes are safe and clean. Hardware and software technologies are updated on a regular basis. HackAlert Monitoring is also available. It is a paid tool ( $1 per month ), that checks a website for security threats and informs the site owner if something wrong happens. Siteground provides plenty of extra features and services, which make its hosting plans quite attractive. Siteground limits the no. of monthly visits in every plan, but provides unlimited data transfer or bandwidth. Disk space limit is 10,20 and 30 GB for 3 shared hosting plans. It is more than enough for maximum websites/blogs. 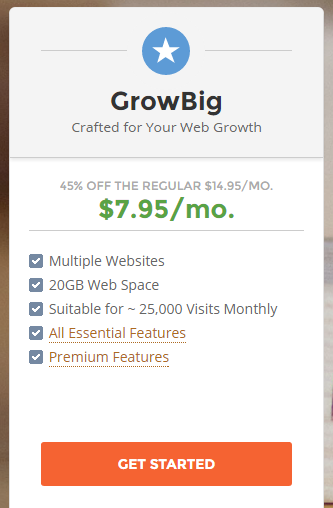 Unlimited websites can be hosted in Growbig (2nd) and Gogeek (3rd) plans. It is beneficial for owners of multiple websites. Siteground also provides VPS and Dedicated Server hosting. These plans can handle even millions of monthly visits. You can choose any 1 data centre from 4 data centres located in Chicago, London, Amsterdam and Singapore. It helps in improving Website’s overall performance and loading speed. Up to 30 daily backup copies of a website are allowed in Startup and Growbig Plan. A free automatic backup restore tool is provided in Gogeek Plan. In case of any serious technical error, these backup copies will help you to recover the content of your website. Important E-commerce features like Free SSL certificates, Dedicated IP address and Free PCI Compliance are provided. Free and easy installation of major shopping carts is also available. Siteground provides many free features and services, which can really help you in saving some money. Free domain name for 1st year of hosting. Free website builder for creating websites and blogs. It is very simple and useful. Free backup copies on a daily basis. But, you should do your own arrangements to restore those backups. Though, in 3rd plan, facility of restoring the backups is also available. Free transfer of 1 website per hosting account is allowed. 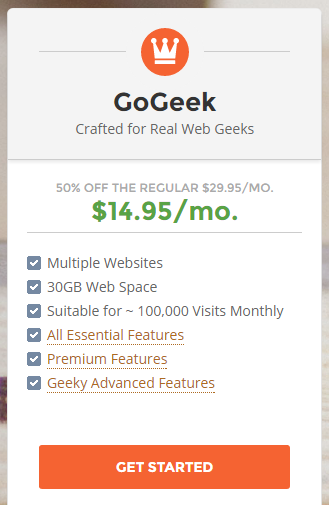 Many web hosts charge $50 to $150 for this service. SSL Certificate is free for 1st year of hosting. It is beneficial for website’s security and has a cost of more than $80 in market. In above part of this Siteground review, we mentioned the positive aspects of Siteground’s web hosting service. SITEGROUND REVIEW :- DISADVANTAGES OR CONS. Siteground is a highly appreciated web host and is recommended by many top bloggers and industry experts. But, like every other thing in the world, it also has some flaws. Let’s take a look at negative sides of Siteground. Siteground is not among the cheapest web hosts. Its 3 shared hosting plans cost $10 , $15 , and $30 per month respectively, on renewal of the hosting plan after 1st year. On the other hand, 3 shared hosting plans of a typical budget host have costs around $8 , $12 and $18 per month after renewal of plans. So, it is not a big difference for first 2 plans, but for 3rd plan, difference is really huge. But, high quality of its service justifies its costs. No other web host has provided such a strong performance in all major departments like speed, uptime, support, security and features. To be honest, Price is the only reason due to which Siteground got stuck at no. 2 position in our web host ranking. Otherwise, it is slightly better than A2 hosting in overall performance and deserves the top spot. Siteground puts a limit of 10, 25 and 100 thousand monthly visits in its 3 shared hosting plans, respectively. It can be a serious issue for some website owners. In fact, it can be a deal breaker for some people. If, you have problem with this limit, then go with A2 hosting or Inmotion . But for majority of websites, this should not be an issue. Because, more than 99% websites present on the internet receive less than 100 thousand monthly visits ( Source : similarweb.com ). 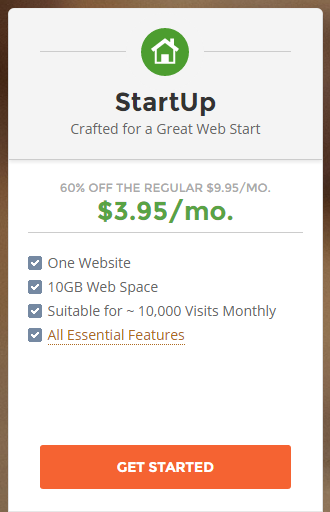 Siteground charges a monthly plan setup fees of $15 to $25 , which makes its monthly plans very expensive. It is better to sign up for an annual plan and avoid this fees. You can use 30 days money back guarantee facility, if you want a trial or if you feel unsatisfied with the hosting quality. In my view, this is a very small issue and should not bother too many people. We have tested and analyzed more than 30 web hosts. This list includes all top web hosts like Bluehost, Hostgator, Godaddy, I-page, Dreamhost, Arvixe etc. Many of these web hosts are really good in terms of performance, and your website will remain safe and sound with them. But, none of them could match the quality of web hosting provided by Siteground, in terms of overall performance. As i mentioned above, costly plans are the only thing that stopped Siteground from becoming our No. 1 web host. 3 ) All major features that you need are being provided by 3 Shared Hosting or VPS or Dedicated Server Plans. Then, I STRONGLY RECOMMEND SITEGROUND AS A WEB HOST FOR YOUR WEBSITE/BLOG. 1 ) It maintains very high standards of Security, Speed, Support and Uptime . These 4 things are known as pillars of web hosting service. 3 ) It has built a very strong reputation, on the basis of its performance over last 12 years. 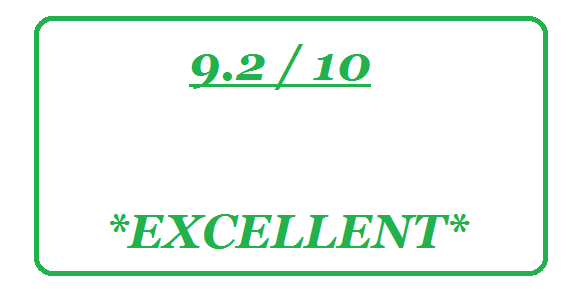 I have given my opinion based on a detailed analysis done to write this Siteground review. If you have decided to choose Siteground , then, there are few special offers for you…..
At present, Siteground is providing special discounts of up to 60% on its shared hosting plans. Click on the below mentioned link to find the right hosting plan and to enjoy the discount. Click here to get above mentioned discounts on shared hosting plans of siteground. This part of siteground review is for those visitors, who want more details about its shared hosting plans. In this part, we will take a look at 3 different plans of siteground’s shared hosting category. Shared hosting provides sufficient resources for most of the small and medium scale websites. Monthly visits per account are limited. But, bandwidth or data transfer is unlimited in all the shared hosting plans. It is very important to analyze every hosting plan individually. As, You will get benefit of only those features and facilities , which are provided with the hosting plan that you have purchased. 1 ) Free Cloudflare CDN – It helps a lot in improving a website’s overall performance and increasing its speed. 2 ) Free Daily Backups – It keeps the latest version of a website ready in form of a backup. Backup is essential as it protects a website’s content in case of any security threat or technical problem. Without backups, all the content created by a blogger will get lost in case of any serious technical error. There will be no easy and free way to get your content back. Sometimes, there is no way to get it back. 3 ) Free Website Transfer – Many popular web hosts charge up to hundreds of dollars to transfer a website. Siteground does it for free. Bluehost charges $149 to transfer a website. 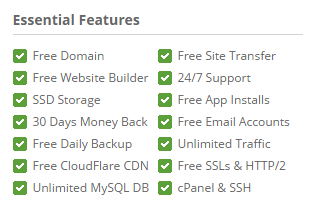 Providing Free Cloudflare CDN is extremely rare for low cost web hosting companies. In this particular case, Siteground proves to be really better than its competitors. Siteground review : SUPERCACHER is one of the most important reasons behind high speed of websites/blogs hosted on Siteground. 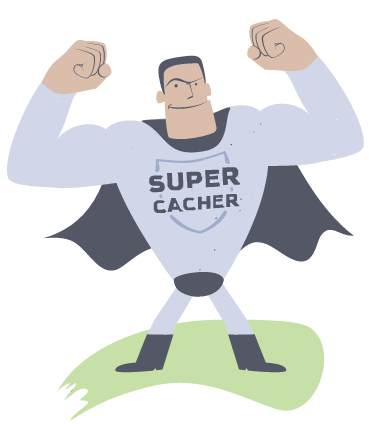 1 ) Supercacher for great speed – Supercacher is a highly reputed caching mechanism built by Siteground itself. It optimizes (modifies) websites in such a way that even most heavy websites can enjoy very fast speeds. 2 ) Free Premium SSL certificate for 1 year – Premium SSL certificate provides very strong protection to sensitive information like credit card numbers, usernames, passwords etc. present on a website. Without an SSL certificate, such information can get leaked to hackers and online thieves. This Premium SSL certificate is specially useful for e-commerce stores. It is also useful for websites that has to sell some products like e-books, physical goods, digital products etc. Because, they have to collect sensitive banking information for doing online transactions. 3 ) Premium Technical Support – Every fair siteground review appreciates it for its fast and efficient support system. In Growbig plan, you enjoy even better quality of an already excellent support system. People having higher technical knowledge will handle your support requests and replies will be even faster. In short, you will enjoy a special status. 1 ) Free PCI Compliance – Payment Card Industry (PCI) Data Security Standard is an information security standard created to protect credit card and other financial transaction frauds. PCI Compliance ensures that information related to financial transactions does not reach in wrong hands. It keeps Cardholder’s data safe. PCI Compliance is extremely important for online merchants and their businesses. Getting it for free is a big benefit. 2 ) WordPress and Joomla Staging – This feature allows you to create a duplicate copy of your website’s pages. You can then view these pages on a staging environment, before publishing them on internet. It is like a backstage platform which provides internet-like view and experience within your hosting account, to test your website. Staging feature is very helpful to test the changes made in design or coding of the website. 3 ) Free Premium Backup and restore service – Siteground allows you to access latest 30 backup copies of your website. An automatic backup restore tool is also available to restore these backup copies for free. It also includes unlimited manual backup restores by Siteground’s support team. It is a very special feature. As, most of the top web hosts provide only backup copies and they charge some money to restore that backup copy. Above part of this Siteground review has mentioned most of the important features of its 3 shared hosting plans. Here, this detailed Siteground review comes to an end. We hope that you will choose a right web host and enjoy your online journey.